The Tata Group continues its ever-expanding quest to bring resources to low-income citizens of the world, this time with an announcement that it has joined up with MIT scientist Daniel Nocera, founder of SunCatalytix, to create power from water. Specific terms of the deal have not been disclosed. Just 45 days ago, Nocera and his team stuck an artificial cobalt- and phosphate-coated silicon leaf into a jar of water and managed to create power–at an efficiency that surpasses today’s solar panels, no less. 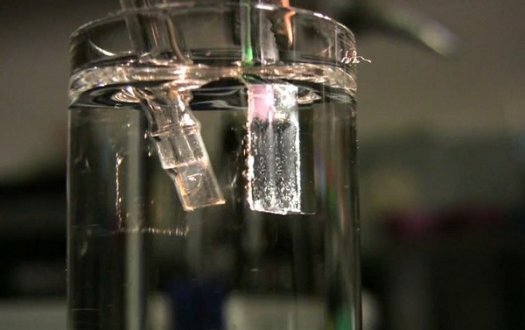 The technique mimics photosynthesis by splitting hydrogen from water to generate power from the sun. Tata and Nocera imagine that the research could lead to a refrigerator-sized “mini power plant” in a development that could, according to Live Mint, bring power to the three billion people currently living without. Nocera’s research is still in the preliminary stages; by next year, he expects to be able to generate enough energy from a bottle and a half of water (wastewater can be used) to power a small house. If Nocera’s research pans out as hoped, a swimming pool-sized container of water could meet the entire planet’s electricity demands for a day. So no matter how preliminary the research, Tata stands to reap big rewards if it pans out.